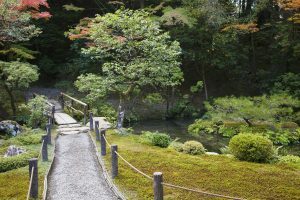 If you’re considering visiting Japan, it is likely you’re aware that Japanese culture has some complicated sounding aspects and you’ll often be told it is important you get these right. There is no need to be anxious though, as many of the practices are easily followed and visitors are welcomed and encouraged rather than frowned at for their efforts. If you start with the basics, you’ll discover a rich cultural experience and sights that are bound to feature in your top ten holiday experiences. Wear clean socks for your trip to Japan. You’ll be taking your shoes off often, from people’s private homes to temples, to several restaurants; you are expected to remove your shoes. There are often signs to remind you and a place to put your shoes too. Lower your volume. Japanese public transport encourages everyone to respect fellow passengers by silencing their mobile phones and not taking calls whilst travelling. You’ll do well to respect this practice, and to generally lower the volume of your interactions in public to respect the peace of the locals. No tip required. Japan has not embraced the “tipping” culture, so there is no need to leave tips when eating out or taking cabs. Bowing: This is an integral part of meeting, thanking and parting company in Japan. Always make a small bow on meeting someone, and also when they give you a gift. It is a wonderful custom which is more complicated than you might imagine, but for a short visit, remember always on greeting and departing, to bow to you host. Gifts for your hosts; Japanese culture enjoys the giving of gifts. It is a good idea to pack a couple of small (don’t do extravagant as this is not appreciated) items that are from your country, to give as a thank-you to any locals you stay with or connect with. Something with a flag or place name, or a local edible speciality (check import requirements) is always a great choice. Also remember to give and receive gifts with both hands. Don’t use chop sticks if you don’t know how. And if you do use them, don’t mess about with them, touch food in other people’s bowls or leave them standing in your bowl when you’re finished. Make sure you mention how delicious the meal is, during each course, and thank your host for the wonderful food at the end of the meal. Eat with pleasure! It is a very common sound to hear Japanese people enjoying their noodles by slurping. This is not considered rude, indeed it is seen as a way of showing your appreciation for the noodles and you should definitely join in. I’d love to hear your top tips for travelling to Japan, do share them.